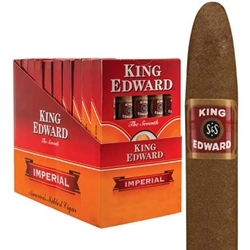 King Edward Cigars are a classic brand inspired by King Edward VII. What better way to celebrate the birth of a new child than a classic "It's a Boy" or "It's a Girl" cigar? Pick up a box today and celebrate life with King Edward Cigars!